On Wednesday, March 20th, they celebrated Hebrew Halloween — Purim. The traditions of Purim are dressing up in costumes and sending packages of food to one’s neighbours (mishloach manot) and gifts to the poor (matanot la’evyonim). These traditions add a social service element to the celebration: although the importance of a good party is acknowledged, responsibility to others is also recognized. On the following day, March 21st, we celebrated Holi, an ancient Hindu festival of spring, also known as a festival of colours or festival of love. 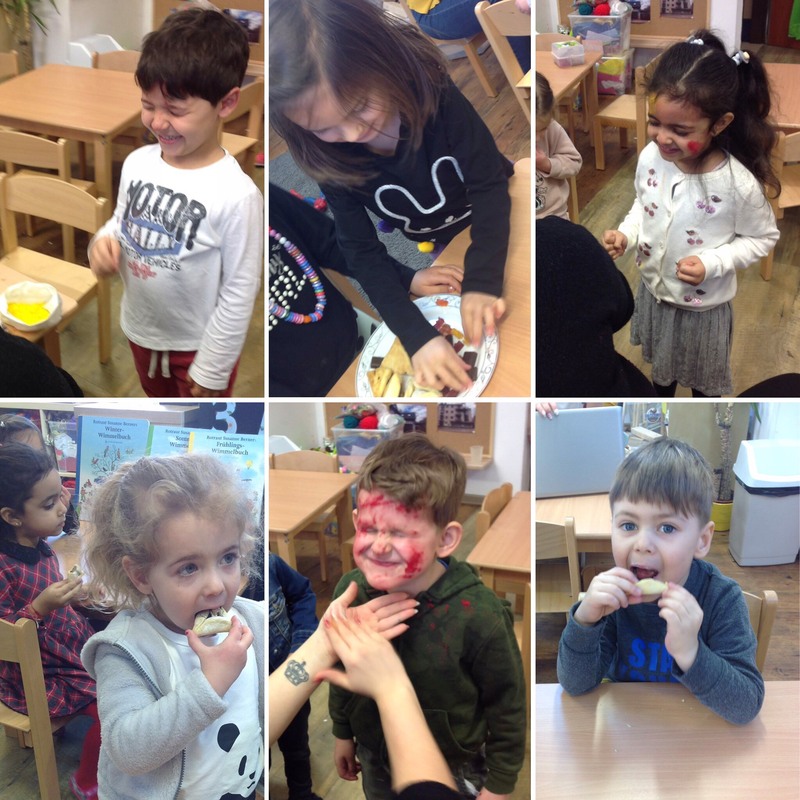 Both celebrations were filled with joy, traditional treats and, of course, colours! Thank you, parents, for sharing your beautiful cultures with us!